The Spirit of Tengri 2018: What to expect from Day 2? Today in Almaty it is the second day of the International festival of modern ethnic music The Spirit of Tengri. Traditionally, the lineup will touch the feelings of every music fan - original bands skillfully mastering the most universal language of communication in the world will continue to introduce the audience to the culture of their countries, Tengrinews.kz reports. The beginning at 17.00. Free entrance. 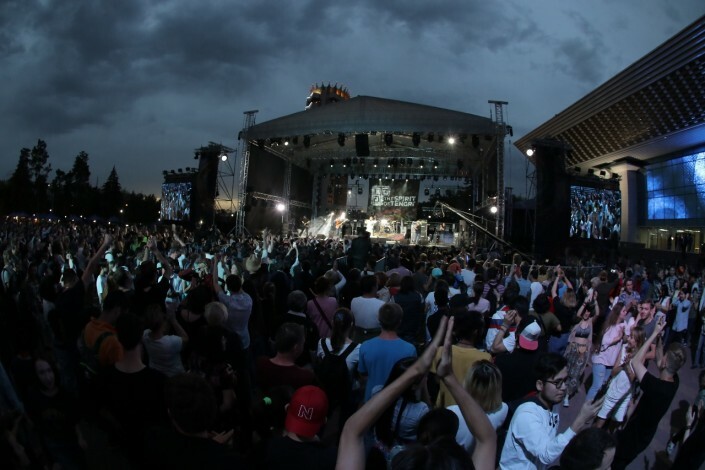 On June 3, the celebration of music will continue in the Abay square in front of the Republic Palace: Aldaspan project (Kazakhstan), Bashkir rockers Argymak, YELÉ band from France, French-Algerian band Speed ​​Caravan, Gata Band from Armenia and, definitely, the Steppe Scape project (the Stars of Eurasia) as well as Kazakhstan's DJs - Alena Lobastova and Nariman Issenov. In addition to all that there is high-quality traditionally live sound and light literally seen from space. If you happen to be far from Almaty and you will not be able to attend the open air show in front of the Republic Palace, you still will be able to enjoy the Festival through a high-quality online broadcast with multi-channel sound on Tengrinews.kz website and in the social networks of The Spirit of Tengri project. On the days of the Festival, bus on routes 29, 48, 120, 121, 141 will run until 23:30. 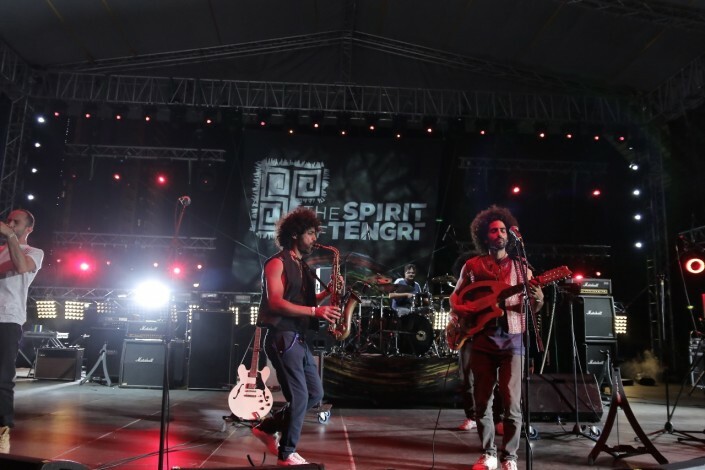 "The Spirit of Tengri Festival is one of the brightest international cultural projects in Almaty that has become a recognized brand in the world of music. It has reveals the uniqueness and diversity of Almaty, the friendliness and hospitality of Kazakhstan, to the whole world, " Bauyrzhan Baibek said. 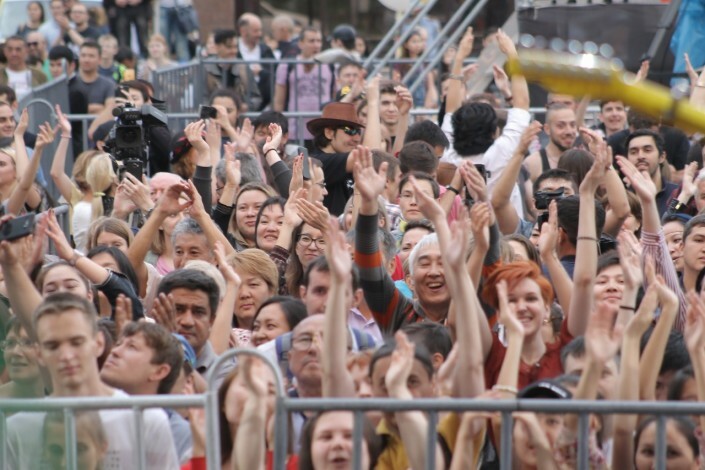 The Festival is held with the support of the Almaty Akimat. The general partner of the project is Magnum Cash&Carry supermarket chain. Support by the tour operator Tez Tour Kazakhstan. Guests are welcomed by the Hotel Kazakhstan. Technical support for the Festival is provided by KZ Sound.The official water of the festival is ARZU. The Spirit of Tengri is a multicultural project established by the national radio station Tengri FM in 2012. The Festival aims at demonstrating the ethnic traditions of the countries of the world on the Kazakh land. Over five years, more than 100 thousand Kazakhstanis and guests of the country have been its visitors. 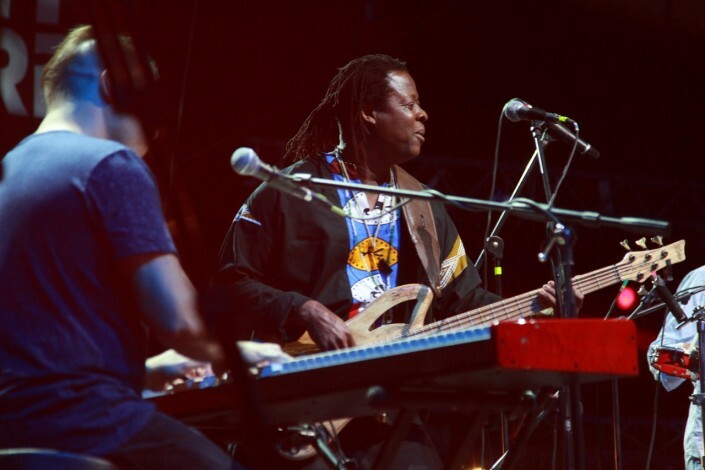 Musicians from 30 countries and regions of the world have been on this stage. Among them are the Turkish group BaBa Zula, the Chinese-Mongolian band Hanggai, the Magyar band Tilla Török's Band & Holdviola, the Estonian ethno band TRAD.ATTACK!, the Georgian trio The Shin, the band from Bashkortostan "Argymak", the Buryat-Finnish-Norwegian project Nordic Namgar, master of throat singing Radik Tyulush with the project "Chalama" from Tuva. Kazakhstan has been represented by the ethno music groups Aldaspan, Sharapat, Tigrahaud, Roksonaki, as well as the master of folklore Yedil Khussainov.